CARACAS, Feb. 17 (Xinhua/Sun) -- Venezuelan Foreign Minister Elias Jaua on Monday announced that they were ordering three American diplomats who were allegedly found to be related to the violent actions that have gripped the country since Feb. 12 to leave Venezuela within 48 hours. At a press conference held in Caracas, the Venezuelan capital, Jaua identified the three American diplomats as Vice Consul Brent Mary McCusker and U.S. embassy officials Elsen Gordon and Clark Christopher Lee and alleged that the three had held meetings in universities under the pretext of granting visas. 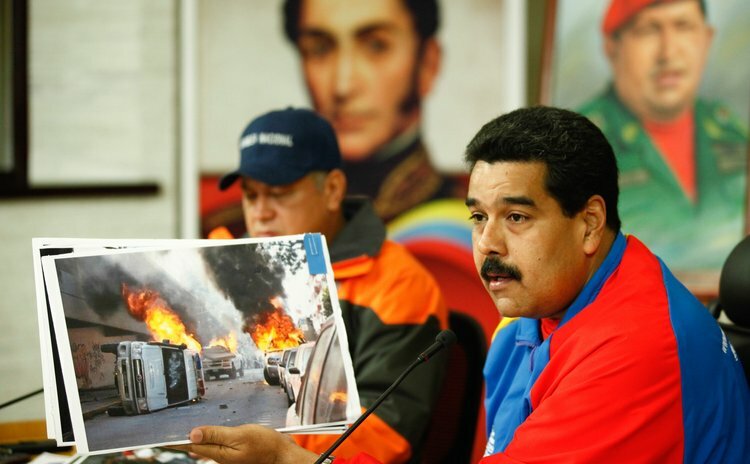 "The embassy has held operations mainly in universities, where the violent actions and protests have been focused, but this is the cover to contact the leaders they train to create students' organizations to promote violence," alleged Jaua, who said Venezuela is suffering from "the common scheme which has been developed in other countries in the recent years, where violence is introduced and then the governments have to legally take actions against it, but afterwards the governments are attacked and criminated, especially by the U.S."